Aliases are pseudo names created with the idea of making the real name easier to memorize or to shield the identity of the site. Access logs are records of each visitor to your website. It represents the details concerning their time and range of visit. It also shows the user's IP, actions taken, requested document, HTTP status code, bytes transferred, user agent info, and more. They are automatically generated. It requires sincere review of logs to ensure purposeful learning and understanding what pages are actually a hit. ASP or (Active Server Pages) enables web developers to develop their sites into dynamic applications with database driven content ability. Coded in VB Script, it is presented on the server of the website, which further reads it and then translates it to HTML. Presenting audio content on a website is the audio streaming. It consumes a heavy share of your bandwidth, especially if your website has high traffic influx. There are many web hosting services providers who do not provide the facility of audio or video streaming because of excessive bandwidth consumption. Availability is basically the period of time within a 24 hour period that a system remains active or available for taking care of all requests. Most web hosting companies claim to remain available 99.9% of the time. AWStats is a statistical application that enables users the facility to see comprehensive graphical reports on visitors to your site. It has the ability to run a good count of different reports on your visitors together with detail on which site drove a visitor to your website, what pages they checked while their visit and more. Bandwidth is the amount of data that is allowed to be transferred to and from your website in a month. The data includes everything from html files, e-mail messages to graphics, audio/video, and other files active on your website. Blog Hosting is basically "weblog hosting". It hosts scripts that enable automatic information posting to a website. 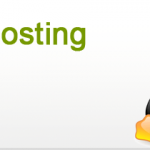 Nowadays, almost every web hosting company offers blog hosting. Backbone is a term given to high-speed line or series of connections creating a key route within a network. 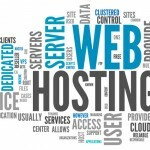 Web hosting services experts believe that the strength of the backbone of the hosting company is directly proportional to the availability of the websites functioning on their computers. Back ups are best defined as storage of data on servers. It is maintained to deal with the problems of loss of data in case some server mishap. Regular backups are an exact way to restore old data to stand safe in a disaster. Browser is primarily the client software which interprets and displays the HTML code coming from the server. Every browse has its own configuration of work and may encounter problems in absolute page display if the code was developed solely for another browser. C+ and C++ are both programming languages. Many web hosting companies offer admission to C+ and C++ class libraries, provided your website contains such program modules. A CGI program can seamlessly translate data from a web server and present it on a web page or in an email. It includes data transfer between a server and a CGI program and enables HTML pages to interrelate with other programming applications. It is an application used to simplify database doubts by enabling a much simpler programming language to manage and operate functions running between the browser of the user, the server, and the database. Co-location means accommodating a web server which the user owns in the hosting provider’s facilities. Control panel is best defines as a set of tools available online, to permit simple site management and editing. Every web hosting service provider ensures the facility of control panel to the user so that they can maintain basic information about their website, mail boxes, and more. CDP is used to take and store a snapshot of your site content every six hours. The backup can be maintained for 7 days and is accessed through the control panel. User may restore as many or as few files as per the requirement. Cron executes programs functioning as per the on the server clock. It is a scheduled task that user wishes to run automatically at a scheduled time. Every websites needs to leverage a database in order to store information. 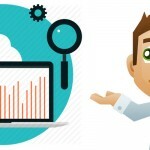 Every web hosting company offers database support top its clients. The most regularly used database programs are Access, Oracle, SQL Server, MySQL, and FoxPro. Disk space is the quantitative measure of storage your Web hosting service is allocated. It stores html files, audio/video, e-mail messages, graphics, and any other files that are part of your website. A Name Server maintains a database of domain names and their related IP addresses. As a user searches for a domain name, the request travels via a Name Server to decode the domain name and gain the corresponding IP address. It is the quantitative measure of the data required to be transferred from an account when a visitor visits the pages of the web site. Generally, it has been calculated that 500 MB of data transfer is equal to 20,000 page views. Every web hosting plan will offer a comprehensive hosting setup along with your own server hardware that is exclusive to the user. Instant website loading is its biggest attribute. It gives the facility to 'park' or hold your domain name without having to keep it running. It is convenient way to acquire a domain name for your website and hold it till the time you do not get it constructed. It is a unique identification to one’s website. It consists of at least two parts divided by the dots. In technical terms, domain name is more like a name that relates an IP address. An auto-responder is an application that automatically sends out a pre-written message to the sender sending an e-mail to a particular Internet address. It is used to respond to visitor in a preliminary way. It helps maintaining heavy traffic. These are exclusive accounts maintained for each of the individuals you want to receive mail at your domain(s). It is the only user account that allows you to set up as multiple e-mail aliases to point to that User. It is used to upload and download files across the Internet. However a few softwares like Microsoft Front Page are free from the need of an FTP program use. File Manager enables the good facility of managing files when the user does not have access or is not an expert in site building, SSH, or FTP programs. With Formmail, highly interactive form can be created on the web site. The forms can have multiple fields for information submission. The information is then mailed at your pre-defined email address. Your Host is your Internet company that stores the necessary servers and software needed to connect domain names to (IP) Internet Protocol numbers. It houses your website against fixed monthly/ annually charges. Your Host enables your visitors to check out your website on the Internet from any nook and corner of the world. Host platform maintain all servers of hosting providers. Most web hosting platforms are based upon Windows 2000 (Win2K), Windows NT or Linux. All web pages are written in this code and the browsers in return, easily interpret them and present it in a way that users can understand. HTTP is the protocol to transfer hypertext files athwart the Internet. It is performed when a HTTP client program is available at one end, and an HTTP server program on the other end. Internet Protocol (IP) Address is a set of numbers specifying hosts and networks. They are exclusive numbers divided into 4 parts. It is often termed as dotted quad. An ISP is your company from which you take the ability to access to the Internet in some form. It is usually, enabled through dial up through a modem, DSL, or cable connection to browse Internet via SLIP, PPP, or TCP/IP. It is defined as a script written in Java and implemented on a server. They are often described as analogous to CGI, but have much more functionality than CGI scripts have. Linux Hosting is available for all web hosting plans including Cloud, Dedicated and reseller. Linux is an Open Source operating system with numerous distributions for Web servers, counting as Debian, Mandrake, Fedora, CentOS, Red Hat, SuSE, and Gentoo. CentOS. Managed web hosting services keeps users completely free from the burden. Web hosts provide a great amount of support in the form of time and technical expertise No technical expertise is required from the user. MX Record or also popularly known as Mail Exchange is basically a record in DNS. It is used to identify the responsible mail server for a specific domain's e-mail. One of the most popular Open Source relational database management systems, MySQL employs a subset of ANSI SQL (Structured Query Language). Open Database Connectivity (ODBC) is a standard method used by applications to speak to a database. It is an interpreter between the application (such as Cold Fusion or ASP application) and the database. It is a technique to retrieving e-mail from an e-mail server. Almost all e-mail applications are actively using the POP protocol. The replacement to POP is IMAP (Internet Message Access Protocol). Normally used to write CGI programs, Perl is a server-side scripting language. It is in form of text files are made to run through and executed by a program termed as an "interpreter" on the server. PhpMyAdmin , an application written in PHP is used to manage the administration of MySQL on the Internet. It is multifunctional and can easily create/drop/alter tables, delete/edit/add fields, handle keys on fields, implement any SQL statement etc. It is a complete software package offering a detailed set of services to the client software running on other computers. One server machine can easily accommodate multiple different server software packages running on it. In simple language, it is a computer with ability to manage and share network resources. SMTP is the protocol used to send electronic mail on the Internet. Today, the highest Internet email is sent and received is using SMTP. It runs on defined set of rules concerning the way of interaction between the program that sends an e- mail and a program that receives the mail. The protocol is used to allow encrypted, authenticated communications athwart the Internet. It is frequently used in communications occurring between web browsers and web servers and ensures the highest level of authentication, message and integrity. To check whether or not a SSL connection is used,, just check the URL, if it has https, it is SSL encrypted. In order to connect hosts on the World Wide Web, TCP/IP is a set of communications protocols. An address of any resource on the web that is part of the World Wide Web (WWW) is presented through the standard form of URL. A unique IP address offers a one-to-one alliance between your domain name and an IP address. It is the process to render video data or content through the medium of a web page. It is web server sharing its resources with numerous users. UNIX, a frequently used operating system can easily develop the Internet's communication protocols. Its main features are its high stability and improved performance over other server operating systems. Webmail is a protected Web application enabling users to see e-mail available on a mail server, without having to download them. It is directly accessible from a Web browser anywhere in the world.